You’ve booked your flights and the itinerary has been set but what else do you need to check before you travel? Here at Totally Spain, we’ve been producing customised trips to Spain and Portugal for 17 years and thought we’d share this handy travel checklist for Spain & Portugal highlighting some of the most important things to do before leaving home. Number one on any Travel Checklist for Spain. Check the expiry date and if it is due to expire this year, consult with your embassy whether it needs to be renewed before you travel. Also ask whether you need a travel VISA for Spain or Portugal. Do this at least three months before your departure. Before you leave home, photocopy or scan your passport and keep the copy in a place that’s easy for you to access while abroad – Dropbox, on a pendrive or printed out and left in your suitcase. If your passport is mislaid or stolen, it’s much easier to arrange for an emergency passport if you have a copy of the details to hand. If you are travelling from Spain to Gibraltar or Morocco, check that your passport gives you access to these destinations. Here are links to the US Dept of State for Spain, the UK’s Foreign Office travel advice for Spain and Australia’s Dept of Foreign Affairs & Trade for Spain. Whether you print out your boarding cards or use the airline’s online app to scan yourself through the boarding gates, make sure you have fulfilled the airlines requirements in advance and always arrive to the airport early. One of the biggest causes of missing luggage is checking-in late. Try to stick to just one suitcase in the hold (23kgs max.) and one carry-on. And be sure your luggage is tagged with your contact details both inside and out. 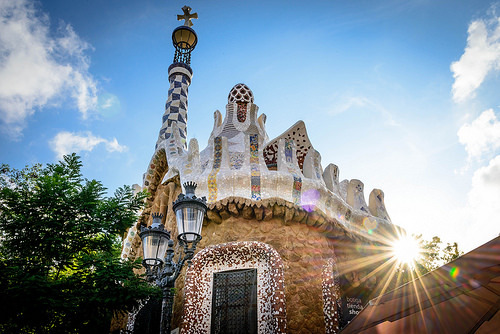 If you have booked with Totally Spain, you will receive our very detailed day-by-day itinerary with additional guides for each city/location you are visiting. 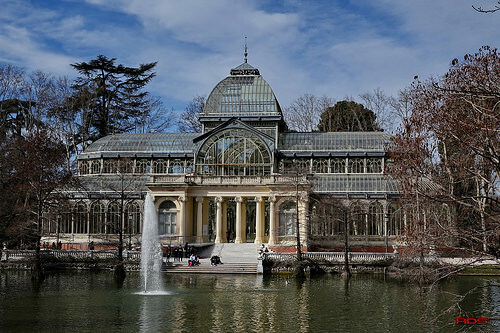 If you haven’t booked with us, you might like to check our guides on the top monuments in Spain, the best cities to visit, and our tips for savvy savings to help you create your own itinerary. Before you fly, make sure you print out the address for your first night’s accommodation and keep it in your carry-on luggage. If you are a frequent traveller you may already have taken out an annual travel insurance policy, and if so, make sure it covers your time in Spain. For single policy travel insurance, we always recommend to get a few quotes and read the small print. Make sure it covers all the activities you want to do – especially if you have plans to undertake any adventure or extreme sports. A company such as Allianz provides useful information on this. Whatever insurance you take out, remember to bring your European Health Card, if you are an EU citizen. If you plan to drive in Spain & Portugal, check your driving license is in date and verify with the relevant authorities that it gives you the right to drive here. Scan or photocopy it, just in case it gets mislaid on the trip. You may also want to consider obtaining an International Drivers License. If you are hiring a car and intend to take out full insurance coverage, you might want to explore third party Excess Car Insurance companies before you get to the car hire company desk. Although we have no affiliation whatsoever with them nor do we endorse them, we have used Questor Insurance for personal travel. See our guide to driving in Spain and Portugal for more. Consider a doctor’s appointment before you travel and a trip to the dentist and opticians may be worthwhile too – if you will be on the road for a few weeks. If you are on medication, make sure you have enough to last the duration with a few extra days just in case there are any last-minute changes. When packing medication, bring the leaflet that comes with the pills so if you need medical attention, the doctor here knows exactly what you are taking. If you have any medical conditions, a letter from your doctor outlining your recent medical history is worth bringing with you. Remember that if you are struck down with a bug or stomach upset while in Spain or Portugal, you may not find the same brand of medicine that you use at home so if you only trust a particular brand such as Rennie, Gaviscon or Imodium, pack it and bring it with you. Contact your bank in advance to ensure that your debit and credit cards are activated for travel to Spain & Portugal and make them aware that you will be in these countries. It’s worth doing this each time you go abroad otherwise you may find your cards have a block on them. Easy to remove with a phonecall but a hassle nonetheless. Note down and safely store the numbers of your bank cards (in case of loss or theft) and have this information easily accessible. Make sure you have online banking set up before you travel as this can be a lot easier than having to call your bank from abroad. You should record the international phone number for your bank. It’s so hard to generalise but we recommend our clients carry at least 150 euro in cash per person to cover meals out and other eventualities for a day. You can pay for a lot of services by card in Spain but it’s always good to have cash at hand too. If you haven’t used hotel safes before, now is a good time to learn – especially if you are travelling with more than 1,000 EUR cash. We would recommend you carry no more than 500 on your person at any one time – and you should consider a moneybelt or a carry safe wallet if you expect to be carrying significant amounts of cash. Please note that it is illegal to bring more than 10,000 EUR cash per person into an EU country without declaring it on arrival. If you are worried about tipping, here’s our handy Tipping & Gratuities in Spain guide. Contact your provider to ensure your phone is unlocked for international travel. Check out our guide on mobile internet options if you are likely to need a lot of bandwidth while you are here. Remember to review our guide to handy travel apps before travelling. Make sure you know your PIN code as you may need to power up and down your phone. BTW If you use your phone as a watch at home, you might want to think about bringing a separate watch – especially if you use your phone as a camera too. You can quickly burn through a battery and you don’t want to miss any special moments, simply because of a low battery. Consider packing an extra external battery for your phone if you use it to watch TV, movies or listen to audio. And pack earphones too – always handy for the flight and any train journeys. Both Spain and Portugal use the standard European two-pin rounded plugs and the voltage is 230V/50hz. Bring an adaptor that can help you power up all your requirements such as your phone, Kindle, shaver, hair straighteners, tablet, digital camera etc. With your glasses prescription it is possible to get glasses made up quite quickly here if you lose or leave a pair behind. It is also possible to purchase contact lenses with and without a prescription and while we don’t recommend you do so, it’s very handy if you forget to pack enough for your trip. You’ll find Spain is quite a sunny place so even if you are travelling in December – make sure to pack your shades and hat. Sun lotion is easy to purchase here in supermarkets, pharmacies and cosmetics stores. Please review Totally Spain’s post on what to pack for Spain, it is well worth reading and it’s a good accompaniment to this travel checklist for Spain. If you plan on handwashing any items of clothing, you might want to pack a small amount of concentrated clothes detergent although shampoo from your hotel does a treat too! In Spain, most hotels offer a laundry service and you’ll also find lots of laundromats in the city centres. Ask for the nearest at your hotel. If you know you need to use a laundry service while on the road, think about packing items of a similar colour that can be washed together. To get an idea of what weather you can expect during your travels check out this weather site. All hotels in Spain and Portugal provide the usual toiletries and kits including towels, soap, shampoo, shower caps and hairdryers, and will usually have a clothes brushes, a shoeshine kit plus toothbrushes and sewing kits available at reception. You will not find a washcloth/facecloth so if you need one, bring it with you. If you are a light sleeper, you may want to pack ear plugs. This is a necessity if you are staying in a downtown location especially when significant festivals are taking place. Check out our guide on getting the best hotel room in Spain and read our bugbears about Spanish hotels too. Remember to pack a ziplock plastic bag for the liquids in your carry-on case – check with your airline or the airport authorities for more info on this. Your airline will outline its luggage travel restrictions so do check before you fly as mistakes can be costly. If you take a taxi at the airport or have booked a private driver for the airport transfer, the drivers only expect each person to have one medium-sized case and one small carry-on case, so if you are bringing more than that, you’ll need to advise us/them so the right vehicle is provided for the journey. If you are planning to use public transport, you will generally not find a porter service so pack or plan accordingly. Pro-tip: Consider purchasing a digital luggage scales which is small, inexpensive and useful to keep tabs on your luggage weight – especially if you plan to do some shopping here. After you have packed for your trip, we recommend you label your suitcase (inside and out), add some identifying feature, and take a photo of it, just in case it goes missing. You may want to consider buying a tracking device such as The Tile. If you can’t travel light and need to bring more than one suitcase, look up companies that allow you to send your cases on ahead such as Excess Baggage Company who can receive your suitcases in advance in Barcelona or Madrid and can hold them there until your arrival. It’s always a good idea to take along a small daypack. You can use it as carry-on for your flight and it’s handy for daytrips and for carrying towels and other essentials when heading to the pool or beach. If you don’t speak Spanish it’s useful to try and learn a few essential phrases before you get here and pack a small phrase book (and a print out of our helpful food dictionary). You should also download the Google Translate App and the nifty Google online translator. 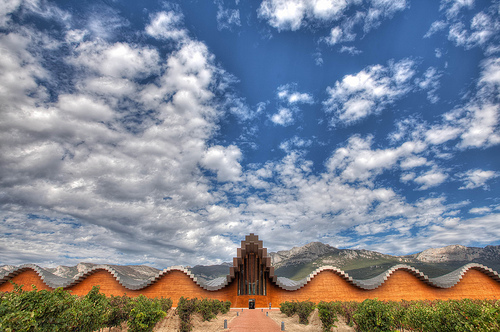 See here for other Useful Apps for Spain worth downloading before you fly. 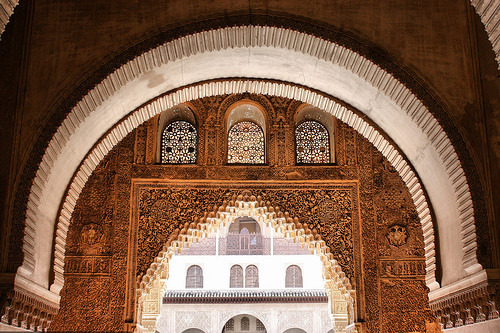 In addition to we recommend packing a book or two about Spain. If you need some tips on Spanish reads, the Telegraph outlines a few good options here. 18 Heading off the Beaten Track? If you are planning to do a day’s hiking in the hills or are walking a stretch of the Camino, in addition to a decent pair of walking shoes, you’ll probably need to pack a Swiss army knife (which has to be checked in for your flight), a small torch and a quick dry towel. Read about the Many Ways of Doing the Camino and let us know if you’d like us to arrange a bag drop service for you or to hold your larger or heavier items in storage while you are walking the Way. In addition to emptying the fridge and cancelling all regular deliveries, before you double lock your front door, make sure your house insurance is up to date and you have left a spare set of keys with a friend/neighbour. If you are away for more than a week we recommend you ask this person to collect your mail. You may also choose to give them a copy of your itinerary so they can contact you should the need arise. All the great travel writers suggest that the best thing we can pack when heading to a new destination is an open mind and we couldn’t agree more. Remember that some aspects of Spain might surprise you – take for example the mealtimes or the tradition of sharing food. Forewarned is forearmed and we encourage you to read more of our Insider Guides and Popular Posts on our blog before you travel. 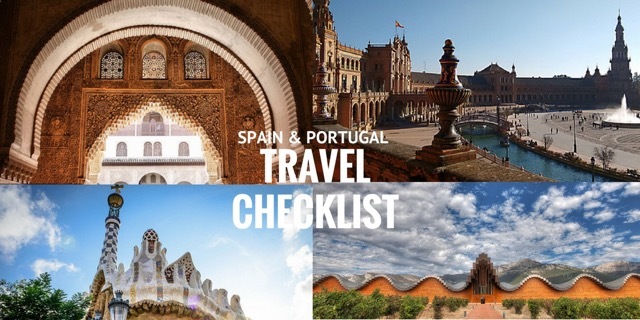 We hope you liked our Travel Checklist for Spain & Portugal. Happy packing and have a great trip! 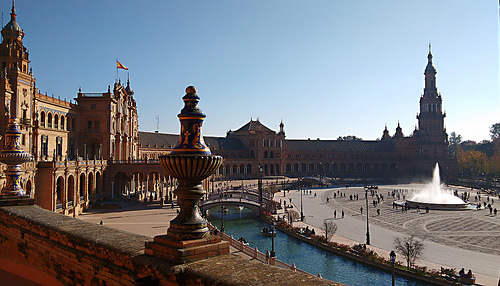 If you liked this post you may also like our post on 21 Tips for Travelling in Spain. Posted in Getting Around, Insider Spain Guides, Popular Posts, Portugal, Spain, Useful Information and tagged adaptors, bank cards, books, cash, check-in, checklist, driving license, glasses, insurance, luggage, medicine, packing tips, passport, phone, phone charger, plane tickets, toiletries, visa.